Magic’s Murray Lindsay is coming to a town near you as he kicks off a nationwide tour this weekend. Murray and his wife Jo are packing their 8.5 metre motorhome for a fortnight-long expedition around New Zealand, visiting towns and cities as nominated by Magic listeners. 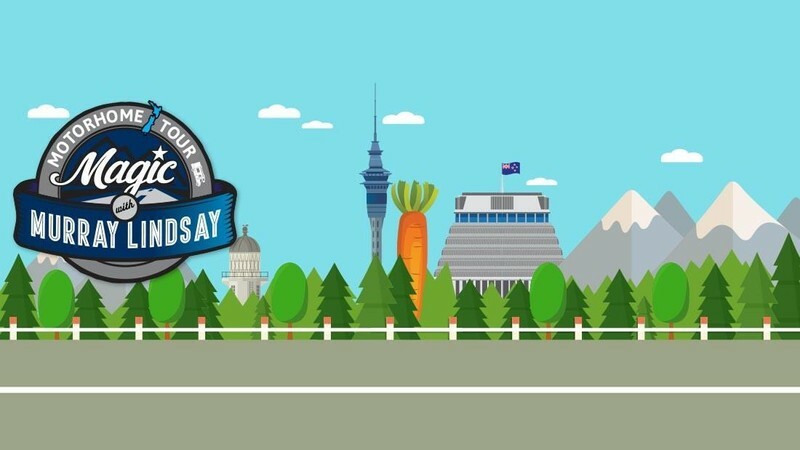 And thanks to Mighway and TrailLite Motorhomes and Caravans someone we visit will win their own 10-day motorhome holiday of New Zealand. Come along and join Murray and the Magic team at your local pub or club - the first round’s on us!